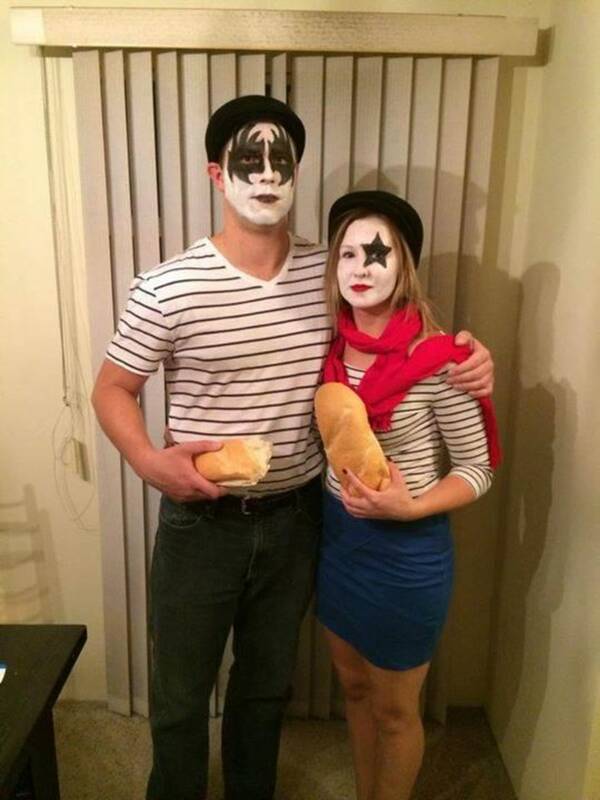 It may take a minute, but I think the baguettes will eventually sell it. Either that, or people may ask you to borrow them if the chip to dip ratio becomes unbalanced. With a little rummaging through local thrift stores (and, perhaps, someone who is handy with a sewing machine) and a trip to the wig store, you’ll be able to put together the O.G. hipster kids costumes. Bonus if you talk in uninterested, monotone voices all night. Tat yourself up, sag your pants low and smuggle in some Purple Drank. Okay, maybe not that last one. At least you’ll have an excuse to party as hard as you want and just tell people that you’re in character. Any Halloween store will have long beards and wigs to play Tom Hanks’ character in Cast Away. If they’re not grungy enough, just run some pomade through the synthetic hair and gross ’em up a little. Although I’m always a fan of method acting, I wouldn’t suggest emaciating oneself in order to really pull this one off. If you’re the Wilson, a white trash bag stuffed with newspaper and painted with the signature red handprint face seems pretty easy. 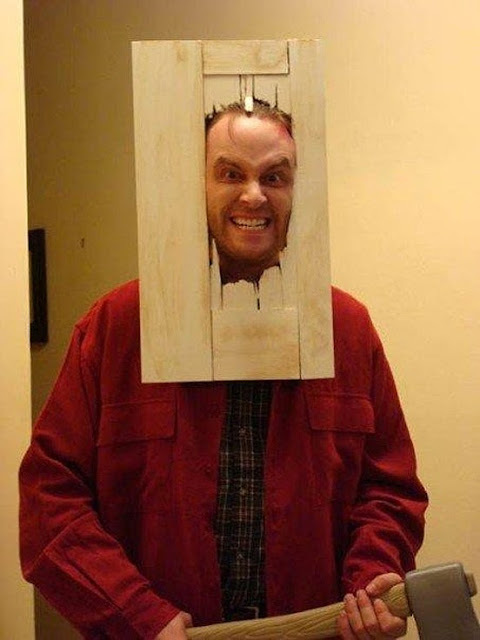 Jack Torrance (Jack Nicholson’s character from The Shining) is an easy-to-make (and terrifying) costume that speaks for itself. This goes without saying, but I’ll say it anyway as a disclaimer: When creating the broken wood piece that acts as the door, please smooth the edges around your face. You don’t need any actual blood to make this costume realistic. Also, use a “costume” axe. Again, no real blood please. I’m not sure how many color samples one is able to gather from local home improvement stores, but I’m sure if you hit enough, you’ll be able to create this costume for free. You’ll probably also be regarded as the most clever person at the party. 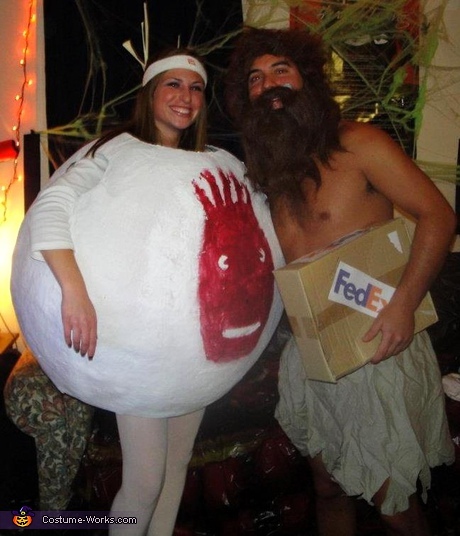 So many cute costume ideas for NOVAWEEN 9 are available for our crazy, creative minds! Let’s keep rolling with the costume ideas for NOVAWEEN 9! 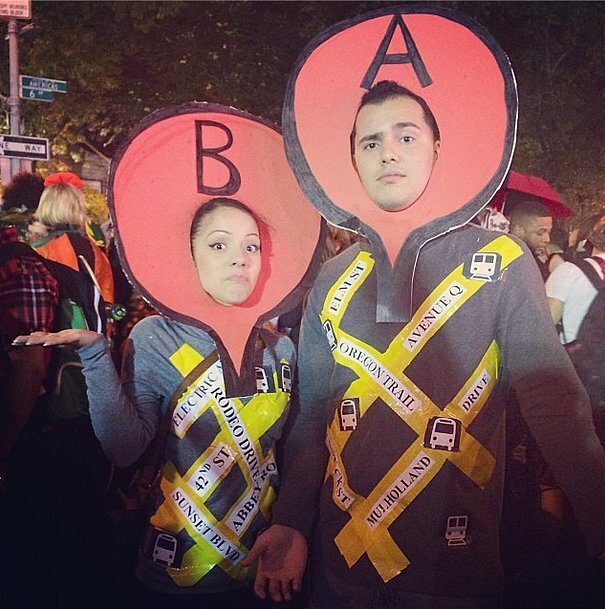 OK, how about Cheap and DIY, a Google Maps costume is a great way to show off your ingenuity. Plus, it’s highly customizable. Use local roads and landmarks to take it to the next level. Find yourself a yellow dress and shoes, carry an umbrella and drop salt behind you periodically. Even though this costume is currently shown on a kid, anyone can pull it off – men included. Actually, a man wearing this would probably be even better than a woman in this getup. The epitome of Internet culture, rage faces and memes are hilarious and simple to create. To get an idea of the meme that speaks to your soul, check out Memebase or just do a Google search (because respectable people don’t use Bing). 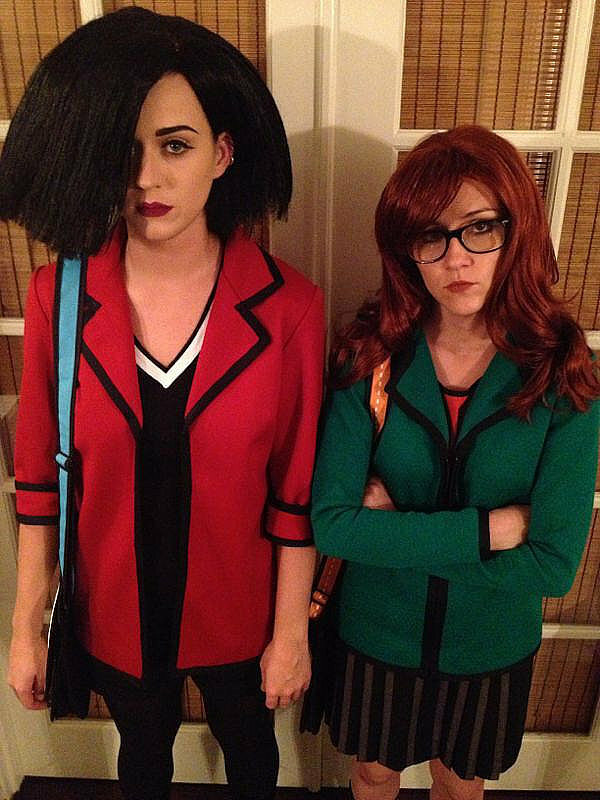 Such costume. Very Halloween. That guy sure knows how to throw a party. For more information about NOVAWEEN 9: Disco Inferno or to add the event to your Google or iCalendar, visit the NOVAWEEN event page.